General shot of site from surrounding area. 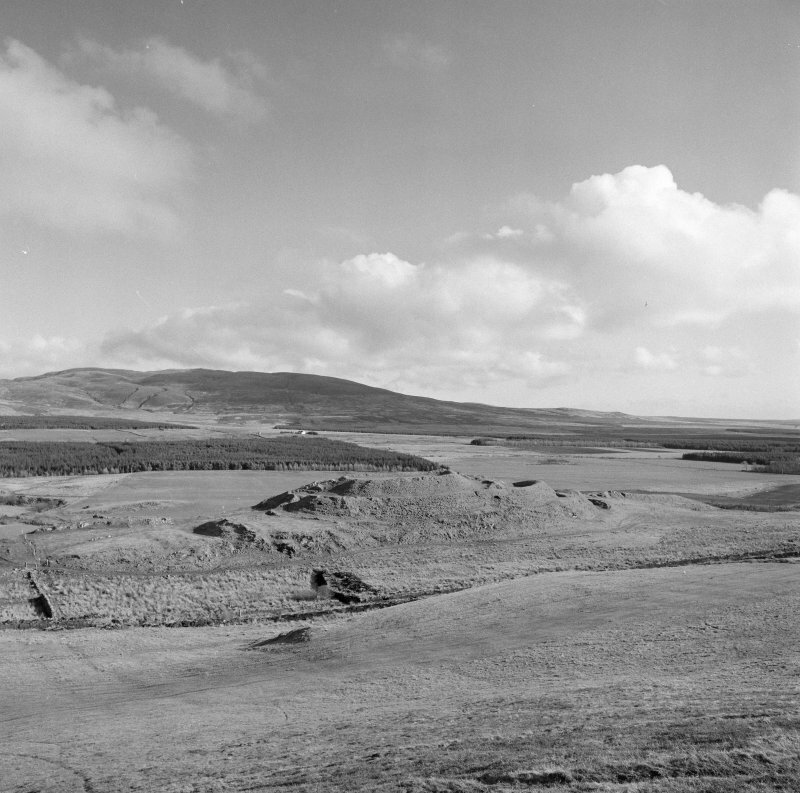 Dun Bhruichlinn: An old guide to Islay, calling this fort "Dun Bruchlain," describes it as oval, measuring about 60ft by 50ft. 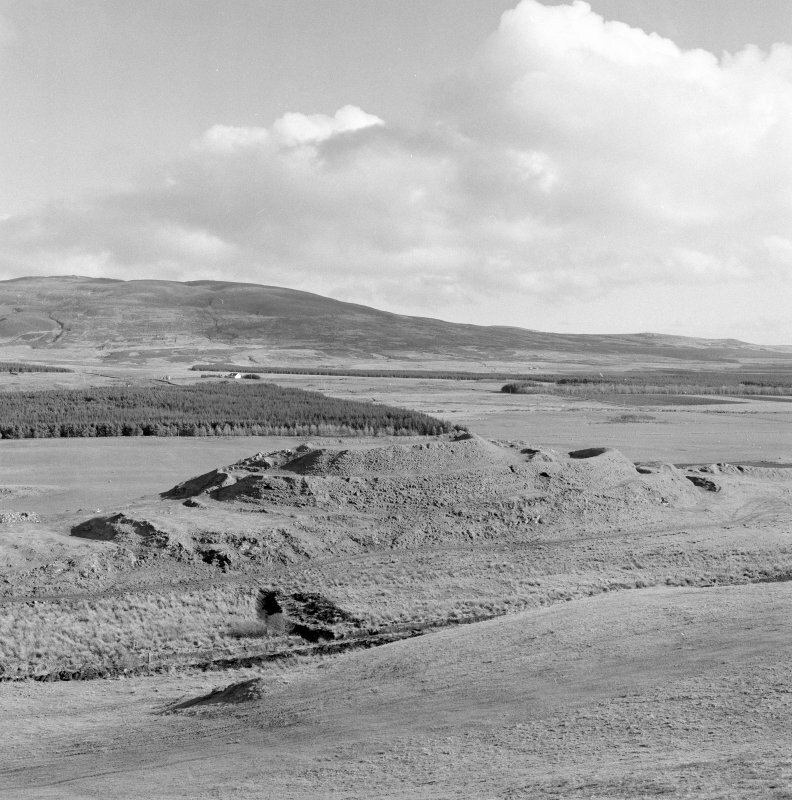 Though it is not listed by Childe, it may be the Dun Bheinicheltun which he mentions on Islay, but did not visit. This name does not appear on OS maps. It appears to have been called "Dun Pruchrais" in the late 18th early 19th century. F Celoria 1959; F W L Thomas 1882. This dun stands deep in trees on a low ridge 1.2km NNE of Daill farmhouse. The ridge is one of several in an area of broken ground and stands up to 10m above fairly level boggy strips on each side. 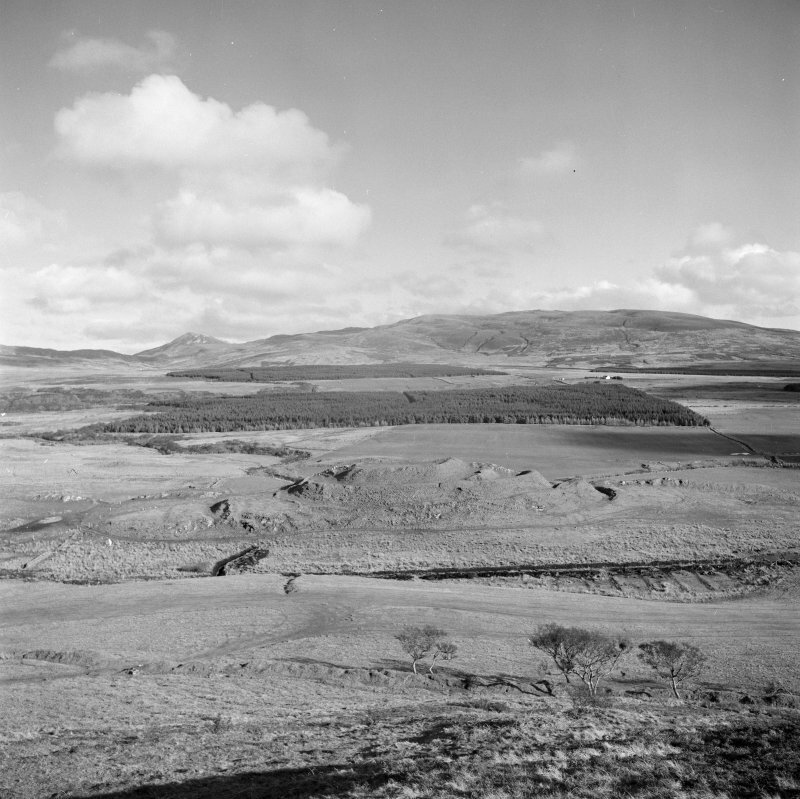 The flanks are mostly rock-faces up to 4.5m high, from the top of which short grassy slopes lead up to the summit; the SE flank is the steeper, the NW flank and the two ends offering relatively easy access. The dun wall conforms to the irregular shape of the summit, and encloses a roughly circular area about 17m in diameter. Little can be seen excpt core material, with a few stones of the lowest course of both inner and outer faces exposed, but the spread of rubble suggests that the wall was about 3.5m thick. The position of the entrance is not clear but it was probably on the SW, where the wall debris is markedly thinner. 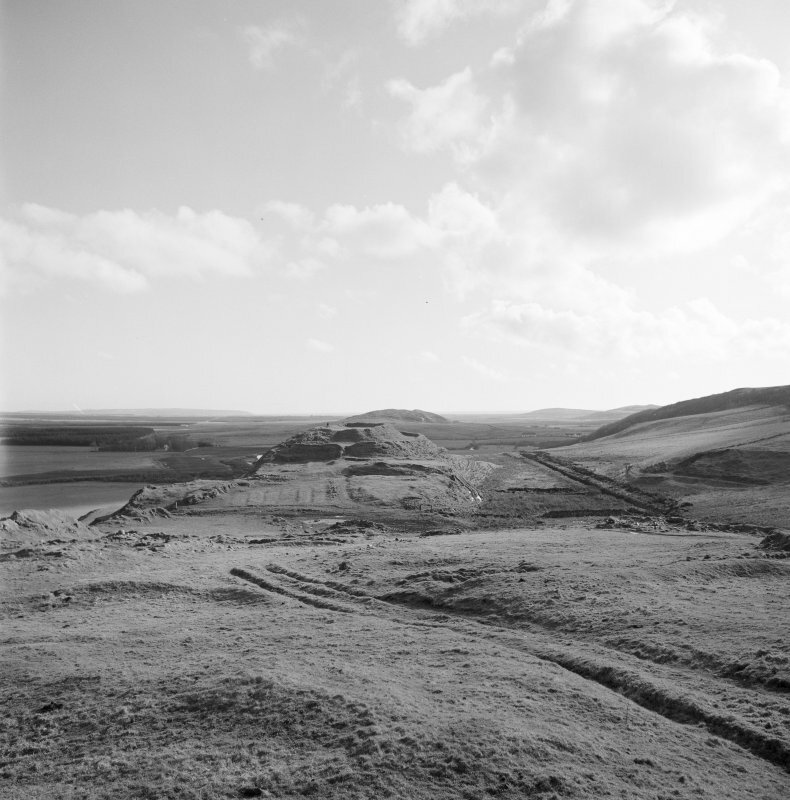 Outside the dun wall on the SW, advantage was taken of a low natural scarp, 1.2m high, to build an outer wall, which crosses the ridge from NW to SE; only a few outer facing-stones and a small amount of rubble remain. Dun Bruichlinn lies on a low ridge within Coille na Dalach. It is tree covered, near circular, and measures about 16.0m internal diameter. 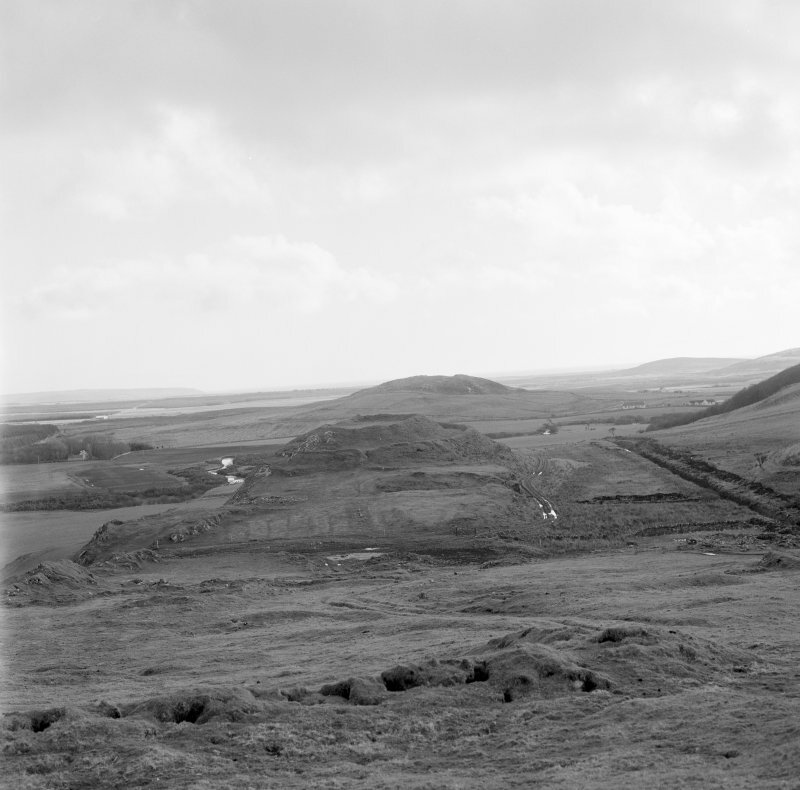 The dun wall exhibits a few inner and outer facing slopes giving a wall thickness of about 3.5m, it has been severely quarried and robbed in places and survives to a maximum height of 0.5m. The slight remains of a probable adjoining forecourt lie on the SW side. 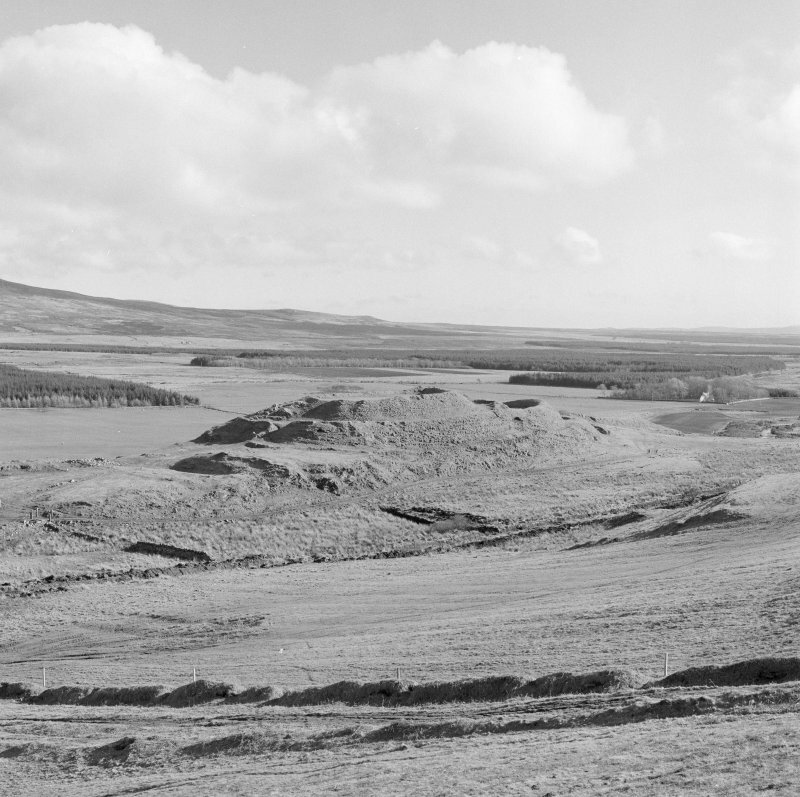 It is roughly rectangular and measures 15.5m SE-NW by 8.5m bounded by an insubstantial rubble wall springing from the S and SW arcs of the dun. The wall surmounts a scarp 1.2m high along the SW side. No entrance is visible into the dun or forecourt. Visited by OS (J B) 10 June 1978.